When the last rays of the sun blur the skies, Taiwan transforms into an outrageously bustling city filled with endless streams of people, infinite culinary wonders, and affordable shopping finds. Welcome to the night markets in Taiwan! Anyone would tell you that a trip to this island country would never be complete without visiting its infamous night markets. 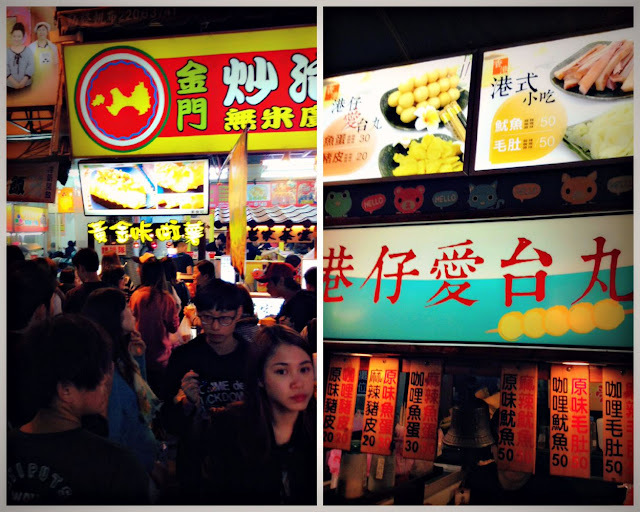 If you are after a truly authentic experience, head over to the night markets in Taichung. 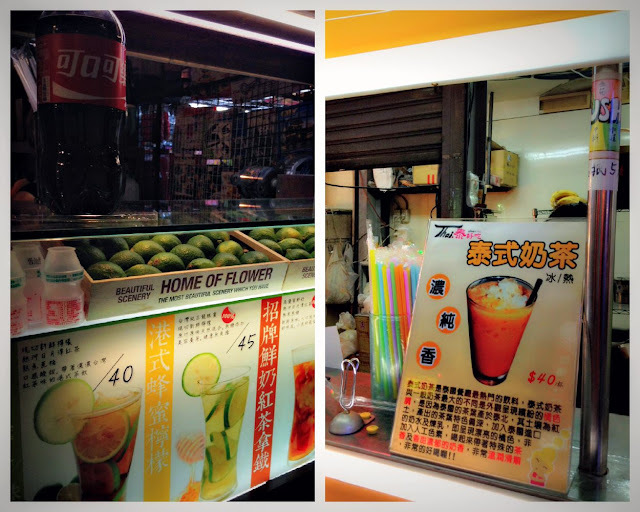 Home to the largest night market in Taiwan and the original bubble milk tea, you’ll surely go crazy, like I did, over the variety of cheap yet quality choices—both in fashion and food—in the night markets in Taichung. Whenever I’m in Taiwan, the first order of business is always to go to the night markets in Taichung to shop and eat. And repeat almost every night, what else?! Here’s a peek into what you can expect when shopping at the night markets in Taichung. With its popularity and vastness, it’s easy to label Fengjia Night Market as the mother of all night markets in Taichung—heck, even in the whole of Taiwan! Strategically located at the center of Taiwan, Taichung has always been a convenient stopover for tourists traveling from and to Northern and Southern Taiwan. Thus, when it comes to shopping, street food sampling, and cultural immersion, visitors look no further than Fengjia Night Market. It is located within the area of Feng Chia University, hence, you’ll always find the trendiest and most affordable deals in this night market as it caters to students. 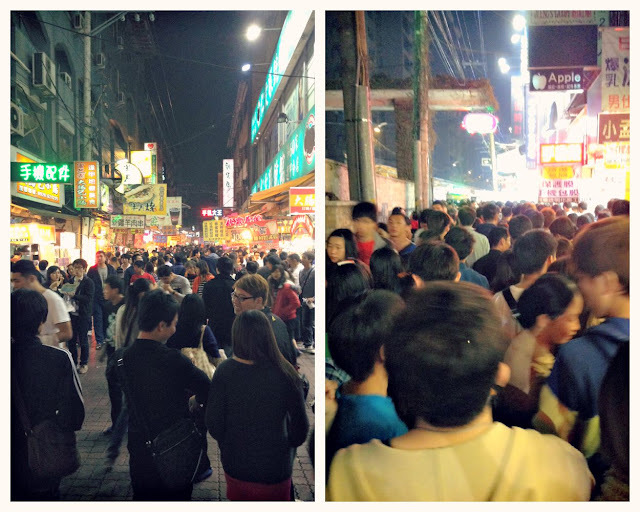 Fengjia Night Market spans across Wen Hua Night Market, Fengjia Road, Fuxing Road, and Xitun Road. There’s no established entrance but as a tip, the university gate is your landmark. From here, all the stalls and store just shoot off the alleys and streets in practically all corners! I based myself in Central Taichung whenever I am in Taiwan. From the Taichung Railway Station, look for Bus No. 25 or 35 and alight at the Feng Chia University stop. The ride will take approximately 40-50 minutes. The buses display the next stop in both Chinese and English. You can also ride a taxi from Taichung Railway Station but note that most drivers in Taiwan do not speak and understand English. If you are coming straight from the Taoyuan International Airport, make your way to the Taoyuan High-Speed Railway station, alight in Taichung. From the Taichung HSR station, you can take Shuttle Bus #160 passing through Feng Chia University. Keep your HSR receipts because the shuttle ride is free for HSR passengers with receipt. The stores usually open at around 2:00 PM but the crowd is at its peak from 6:00 PM to midnight. 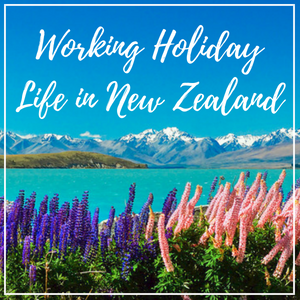 I must warn you that it’s a bustling and busy area—motorcycles just spring out of nowhere so be alert; you will rub elbow to elbow with other visitors; there’s no escaping it. But trust me when I say, you will be rewarded with the most unique and fairly-priced fashion finds and most importantly, an endless array of delicious and freshly-cooked street food that will you make drool as you make your way around this night market in Taichung. This is where I was able to buy a pair of suede knee-high and ankle boots for NT 290. During my first visit, I think I bought 12 pairs of shoes (combined with my Yizhong Street loot) and I needed to buy another luggage for my shopping finds. Oh, what night markets in Taichung can do to my sanity! As in every night market, you can always try to bargain. As for food, you should not leave Fengjia without trying the stinky tofu, Hotstar chicken, port cutlets, sugar-glazed fruits sticks, golden fried squid, egg cakes, popiah, oyster omelettes, grilled prawns and scallops, grilled sausages, and of course, bubble milk tea! All these are fairly priced from NT 10 - NT 120. For me, a trip to Taichung must always include a visit to Yizhong Night Market. Not only do I do my pasalubong shopping here but it’s also a great place to do people-watching and late night strolling. 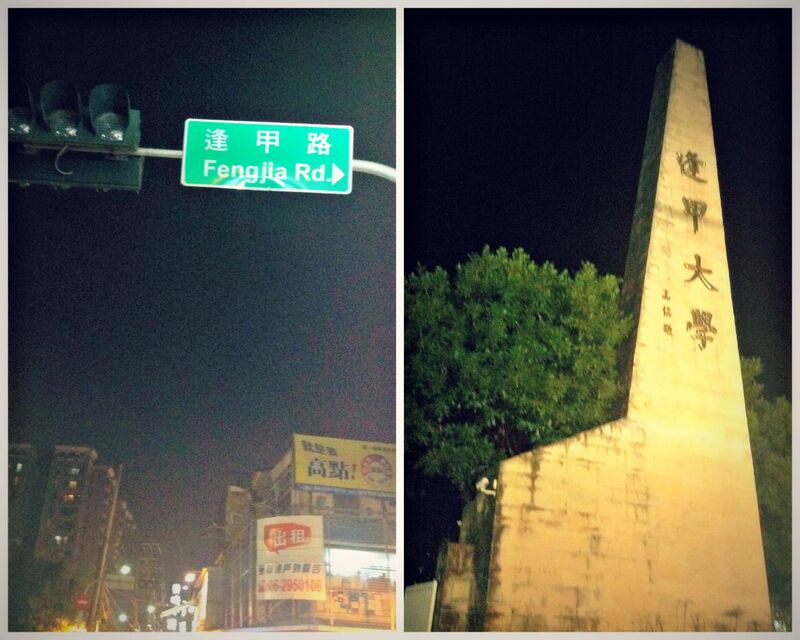 Like Fengjia Night Market, Yizhong is located near a university—the First Senior High School. Yi means number one and zhong means high school, hence the name of the place. It’s right across the Chung-yo Department Store and whenever I go here, I just practically wing the commuting—once I see Chung-yo, it’s my cue to alight already. From the Taichung Railway Station, there are many buses passing through the Yizhong Night Market—try Bus #73 or Bus #55. Stores at Yizhong Street are open from 12:00 PM to around 10-11:30 PM. This night market is famous for the hip, young, and cool culture so the merchandise is usually all about the latest and trendiest buzz—sometimes, bordering already to eclectic and weird, but in a good way! My favorite finds? SHOES, SHOES, SHOES! I bought NT 120 ballets flats and NT 190-299 sling backs and boots. My brother is a huge fan of anime, most especially One Piece, and I was able to buy a lot of One Piece merchandise—mostly shirts, key chains, slippers, and figures—at Yizhong Night Market. If you are lost where to go, just follow the crowd! 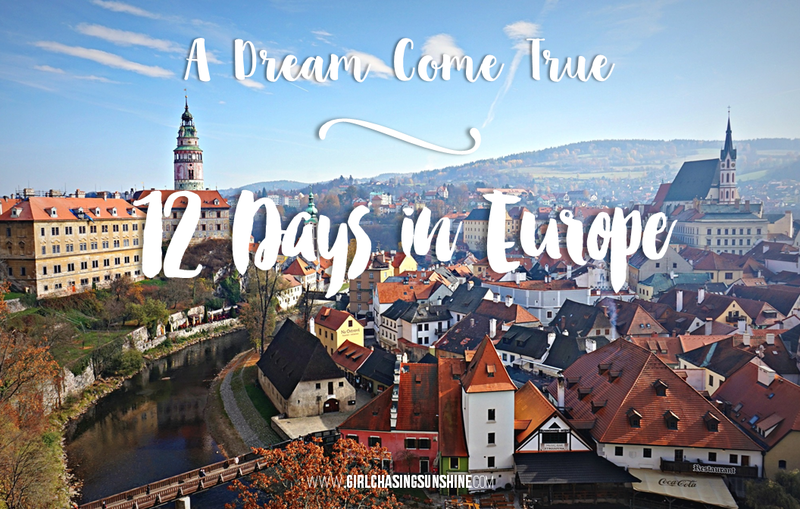 It’s a long stretch filled with fashion stalls, themed restaurants, and street games—your eyes will be lured with every entertainment along the way. 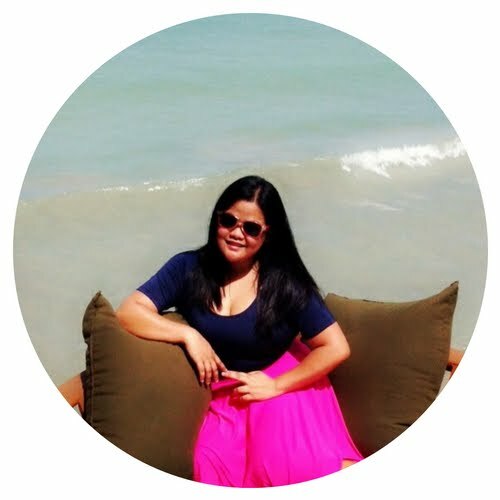 As for food, my favorites include the papaya and banana milk tea, chicken cutlets and the weirdly-shaped sausage covered in different flavors. They are just right in front of Yizhong street. If you are pressed for time and can’t go to Fengjia, the Yizhong Night Market is a worthy alternative to truly immerse yourself in the night market culture of Taiwan. 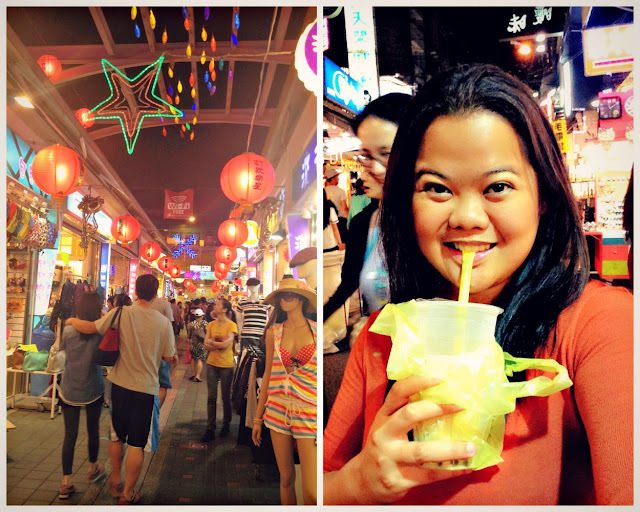 So, whenever you are in Taiwan, go beyond Taipei and head over to Central Taiwan to experience the night markets in Taichung—you’ll surely have a fulfilling and rewarding day full of eating and shopping! Enjoy! I love night markets in Asia, they just capture the madness of the place! Looks like a must-see! I can't wait to see markets like this once I finally get to go on my whirl wind trip around Asia! 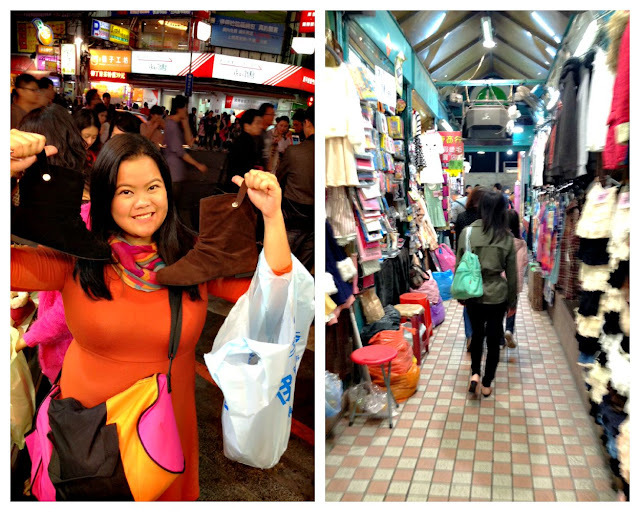 Definitely one of my favorite things about Asia..the night markets! Not necessarily all because of shopping (in that case I like to stick to Bangkok) but the foooooood!!!!! One of my favorite things ever is to wander about in markets- I can do this for days! Nice photos! I LOVE night markets! These look so great. One of my favorite parts is just walking around eating whatever looks good and seeing the bustle of the crowd. I have never been to a night market, but sure looks like you can get a lot of loot there. Wow! you got a ton of loot! I really miss the night markets in India - I would get so much shopping done! My grandparents lived in Taiwan when I was a kid and it's always been a dream to revisit the island and see what all they had done. Don't really fancy super busy places but the street food kind of convinced me to give it a go! I wonder how it compares to those in Taipei, like the Shilin Night Market? I loved the huge fruits and street food there. Glad you enjoyed! I love night markets as well! Everywhere I go to, a visit to the local street market is a must. I love night markets! You did get an impressive amount of loot. 12 pairs of shoes - wow! That made me laugh. I love the night markets in Asia! So diverse, you can actually buy anything there! I love night markets from my Asian travels ! You got so many good things in your shopping trip too! Sure looks like a busy market! 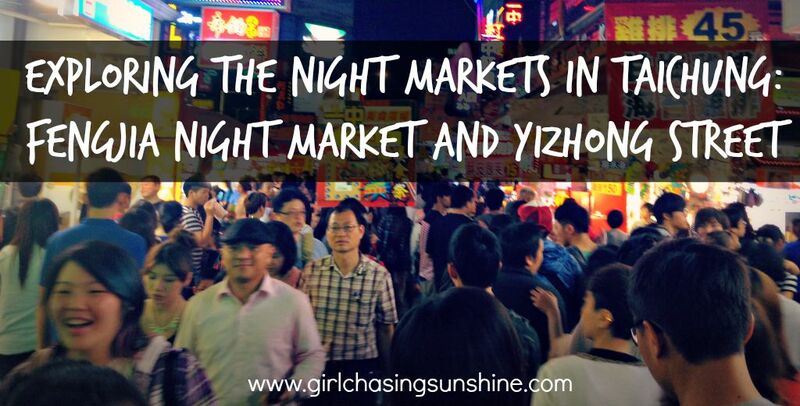 I've heard so many good things about night markets, but I have yet to be to one. Hopefully I can make it to this one if it's the best! I have never been to Asia, but when I get there, I'll definitely check into the night markets.It looks like a great way to spend an evening. Wow, looks like a total sensory overload, but an amazing one! Looks like a cool place to explore! I can almost hear it now just looking at these photos!